Despite what we are used to here in the United States, coins do not have to be round to be minted and spent. I've previously discussed square coins, but an even more common shape is the scalloped coin, which has a wavy edge that goes all the way around the coin. The name comes from the distinctive wavy shell of the scallop, a sea mollusk similar to a clam. This coin shape may also be referred to as wavy-edged, flower shaped, or sun shaped. 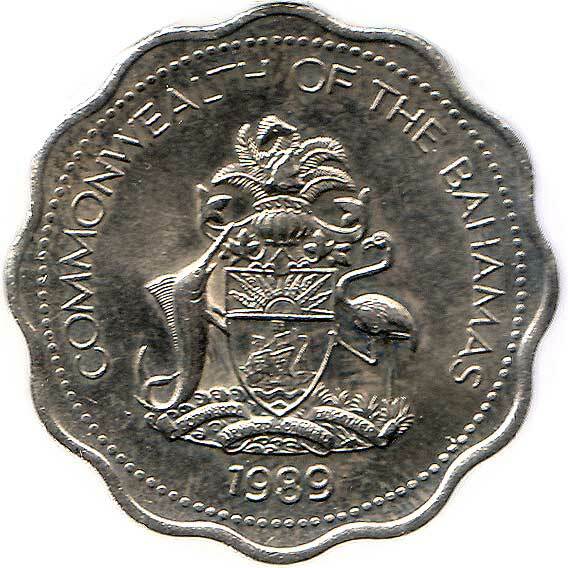 Scalloped coins usually have an even number of peaks or points, most commonly 8, 10, or 12. The peaks are the waves that point away from the coin, like the petals on a flower. The waves that point back into the coin are called troughs. Scalloped coins can either be peak-aligned (so that holding the coin right-side up leaves a peak pointing straight down), or trough-aligned (a trough is in the direct center at the bottom edge of the coin). 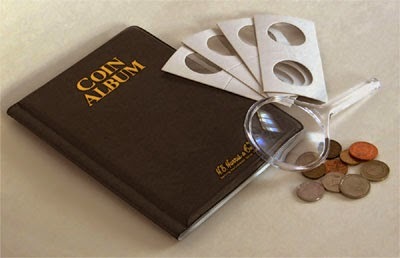 Because of their unique shape, scalloped coins (along with square coins) are easy to spot in a big mix of coins. They are more decorative than square coins due to the larger number of points on their edge. Like coins that have holes in them, the main reason behind using a scalloped edge on a coin is to make it more easily distinguishable from other coins. In a pocket, or in the dark, you can easily feel the wavy edge and (for people who use those coins regularly) tell which coin is which. This is also helpful for people who have trouble seeing, and is one of a great many ways that countries have tried to make their coins identifiable by touch alone. 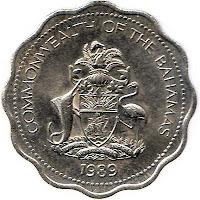 Many countries have used scalloped coins in the last 100 years - more than have used square coins. If you compare this list to the list of countries that have used square coins, you'll see a lot of the same names. As usual, if you find any countries missing from this list, please post it in a comment.